You wait for a bus, and then three come along at once. The same could be said of major consultations on infrastructure projects that will transform the Kent landscape – as there are two on the go, and another one coming round the corner. Currently out for consultation from Highways England is prospect of a long-term solution to the impact of Operation Stack, which ends on Monday, 25 January. The proposals include a major new lorry area that Highways England believes would help improve Kent’s resilience when services across the English Channel are disrupted. The consultation, which began on 11 December, seeks public views on two potential sites near the M20, along with four broad ways it could be used. Each option aims to prevent the need for the M20 to be closed when there is disruption to cross-channel services. Secondly, Highways England is asking the public and businesses to submit their views on proposals to spend between £60.9m-£85.5m on delivering a new junction on the M20, Junction 10a. This consultation, which went live on 14 January, lasts until 17 March – and is available to view here. 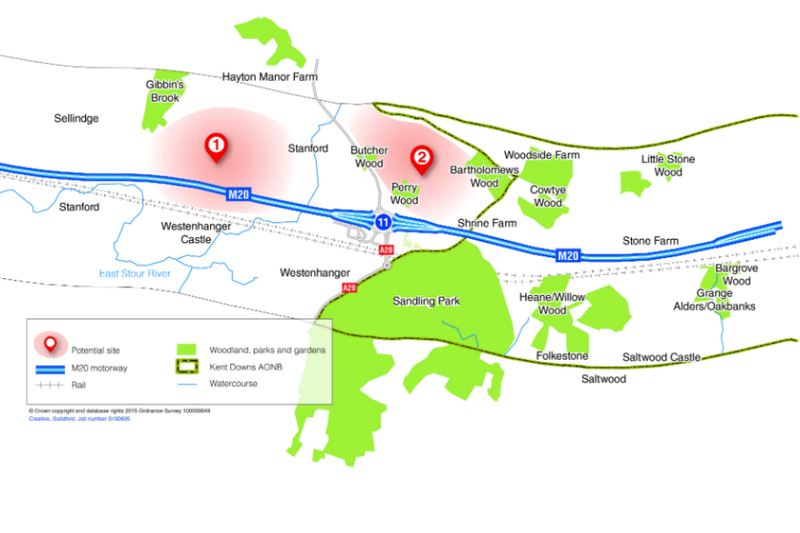 It sets out the preferred route for a new junction and link road to the A2070 at Ashford, with a new dual carriageway link road to the existing A2070 Southern Orbital Road (Bad Munstereifel Road) and also connects to the A20 Hythe Road. The new interchange will be on the M20, approximately 700m to the east of junction 10, between Ashford and Folkestone. The new junction, which has the backing of the South East Local Enterprise Partnership and the Kent & Medway Economic Board, will have a major positive impact on Ashford in terms of opening up sites for residential and commercial development. And finally, and the one everyone has been waiting for is the consultation, again by Highways England, on the route of a new Lower Thames Crossing. Ask anyone outside of Gravesham, and there’s almost total backing for Route C – a new crossing east of Gravesend leading from the A2/M2 to the A13 and on to the M25. The alternative option is Route A – another crossing at Dartford. This is where Kentcentric has to declare an involvement as it is working with the South East Local Enterprise Partnership and will be helping it reach out to the business community to ensure its voice is heard in Whitehall. On paper it appears Route A is the cheapest to deliver – not surprising given it’s shorter – but economic analysis strongly suggests George Osborne would get the best return for the public purse from Route C.
As soon as the respective consultation websites go live we’ll post a link and to enable you to give your views.